Making of candles for weddings etc. Urgently Looking for candles to hire!!! Hi I am in desperate need of candles. I am in Pretoria Centurion. If anyone rents out candles in this area could you please email me a price list to submit to management. Many thanks. 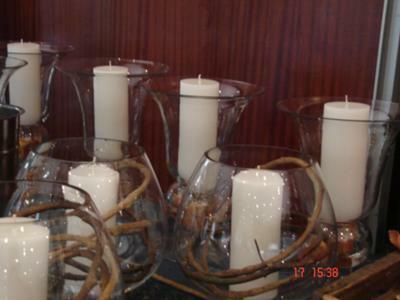 I am looking for different sizes cylinder candles to hire for a wedding on the 8th August 2015. I will appreciate it if you can contact me or send me your prize list. My email address is annasvanzyl54@gmail.com. Please send me your details I want to discuss candle hiring. I am urgently looking for candles to hire. I am looking for candles for the 5th of November. Can you please send me your details and pricelist.